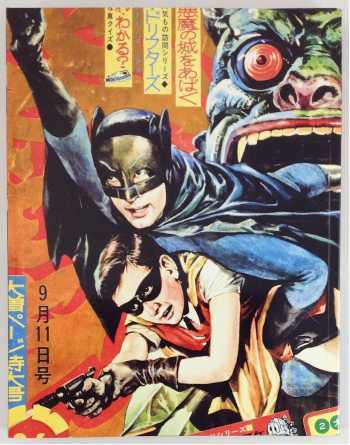 In 1966, during the height of the first Batman craze, a weekly Japanese manga anthology for boys, Shonen King, licensed the rights to commission its own Batman and Robin stories. A year later, the stories stopped. They were never collected in Japan, and never translated into English. Now, in this gorgeously produced book, hundreds of pages of Batman-manga comics more than four decades old are translated for the first time, appearing alongside stunning photographs of the world's most comprehensive collection of vintage Japanese Batman toys. This is The Dynamic Duo as you've never seen them: with a distinctly Japanese, atomic-age twist as they battle aliens, mutated dinosaurs, and villains who won't stay dead. And as a bonus: Jiro Kuwata, the manga master who originally wrote and drew this material, has given an exclusive interview for our book. CHIP KIDD is the four-time Eisner Award-winning designer and author of Batman: Animated, Peanuts: The Art of Charles M. Schulz, and Mythology: The DC Comics Art of Alex Ross. As an editor of graphic novels for Pantheon Books, he has worked with some of the very best talents in the medium, including Chris Ware, Dan Clowes, Art Spiegelman, Charles Burns, and David Mazzucchelli. Kidd is also the recipient of the National Design Award for Communications, the design industry's highest honor. His first graphic novel as author is Batman: Death by Design, published by DC Comics and featuring art by Dave Taylor.